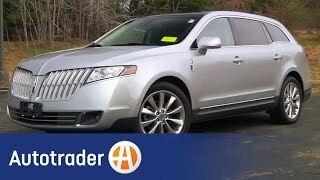 The 2012 Lincoln MKT offers customers a three-row luxury crossover that delivers an optimal blend of distinctive design, interior spaciousness, technology and fuel economy. For the 2012 model year, the 355-horsepower, all-wheel-drive MKT with EcoBoost is available at equal the cost of the previous model year's all-wheel-drive version powered by the 270-horsepower 3.7-liter V6. The car is built at the Oakville Assembly Complex in Ontario, Canada, and goes on sale at North American dealers in late summer. DEARBORN, Mich., July 7, 2011– The Lincoln MKT three-row premium utility has offered modern design, industry-first infotainment and versatile flexibility since its launch in 2009, offering more standard features that luxury customers expect in all Lincoln cars. While the initial manufacturer's suggested retail price (MSRP) of $44,300 remains unchanged from the 2011 model with an efficient 3.7-liter V6 engine, the MSRP for the effortless and efficient 3.5-liter EcoBoost™V6 and all-wheel-drive now begins at $46,295. That’s the same entry price as the 3.7-liter V6 with all-wheel drive as last year's model, which has been discontinued. In addition to added value for a three-row premium utility with a more powerful engine and all-wheel drive, luxury customers can more easily configure the Lincoln MKT that’s right for them because the amount of orderable combinations has been reduced by two-thirds. The powerful and sophisticated twin-turbocharged 3.5-liter EcoBoost V6 offers the power of a naturally aspirated V8 with V6 fuel economy. The sophisticated all-wheel drive system enhances capability in a variety of weather conditions, using an advanced array of internal electromechanical clutches to efficiently distribute torque between front and rear wheels as needed. The EcoBoost V6 delivers a class-leading 355 horsepower at 5,700 rpm while generating 350 lb.-ft. of torque from 1,500 through 5,250 rpm. The engineering and craftsmanship that sets Lincoln MKT apart doesn’t stop under the hood. Lincoln was recently recognized as the leading luxury brand in vehicle satisfaction by AutoPacific in its 15th annual Vehicle Satisfaction Awards (VSA). The awards are industry benchmarks for measuring how satisfied an owner is with his or her new vehicle. The study summarizes the results of more than 68,000 new vehicle owners for which MKT won a VSA in the “premium luxury crossover SUV” category. The new Lincoln MKT continues to offer luxury utility shoppers Lincoln’s signature design in an inviting three-row configuration with intuitive technologies designed to make customers’ lives easier. MKT buyers can choose between six- and seven-passenger models with two different second-row seating configurations. A standard 60/40 split folding rear bench seat features heated outboard seating positions. Power “fold and tumble” second-row bucket or captain’s seats, with heating, cooling and power-assisted lumbar adjustments are available as well. A rear console-mounted, five-quart-capacity refrigerator is available in the six-passenger configuration. Adaptive cruise control and collision warning with brake support, active park assist and BLIS®(Blind Spot Information System) with cross-traffic alert lead the comprehensive array of driver-assist technologies offered. 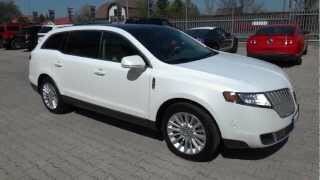 Lincoln MKT earned a Top Safety Pick from the Insurance Institute for Highway Safety for 2010 and 2011. To earn the ranking, a vehicle must receive a “good” rating in all four of the institute’s crash tests: front, side, rear and rollover. Ratings are good, acceptable, marginal and poor. Electronic stability control must be available as an option. Lincoln MKT features standard electronic stability control through AdvanceTrac®with RSC®(Roll Stability Control™) as well as an advanced structural safety system that combines octagonal front frame rails, tunnel rails and support members that are designed to absorb and redirect crash forces away from the passenger compartment. Standard premium innovations include Lincoln SYNC®, providing occupants with hands-free, voice-activated communications and infotainment. SYNC is an advanced software platform that provides customers the convenience and flexibility to bring digital media players and Bluetooth®-enabled mobile phones into their vehicles and operate the devices via voice commands or with the steering wheel’s supplemental radio controls. Along with the convenience of SYNC voice control, drivers can operate the climate control and audio system via voice or touch using the standard center-stack touch screen. The audio system includes a CD/DVD/MP3 player with 10 speakers, SIRIUS XM Radio with a six-month subscription and audio input jack. An available dual headrest Family Entertainment System with twin seven-inch DVD playback screens offers individual or simultaneous programming to second-row passengers. The available Elite Package includes voice-activated navigation and a THX®II Certified 5.1 Surround Audio System with 14 strategically aimed premium audio speakers. The MKT also can receive HD Radio™broadcasts, giving listeners access to additional free programming in areas where it is offered. A SIRIUS Travel Link™prepaid subscription is included with the Elite Package, providing coast-to-coast weather data, forecasts, fuel prices, sports scores, movie listings and more. Literally topping off the new Lincoln MKT is the standard fixed-glass Panoramic Vista Roof™with power-assisted front and rear sunshades or the available Power Panoramic Vista Roof, which opens for an expansive open-air experience. Recently, Lincoln received the highest score for long-term durability among all vehicle brands in the annual J.D. Power and Associates 2011 Vehicle Dependability Study, the second-highest performing model for long-term durability in the entire study. The study asked owners about their experience in the past 12 months with their three-year-old vehicles (for the 2011 study, 2008 model-year cars and trucks were surveyed). Survey respondents were asked to indicate any problems they experienced with their vehicle in the previous 12 months, choosing from a list of more than 200 issues in eight diverse categories. The study also shows a strong link between reliability and purchase. Nearly two-thirds (63 percent) of new-vehicle buyers say reliability/durability is one of the most important factors in choosing a new vehicle. Additionally, the study found that fuel economy is among the top 10 purchase considerations. 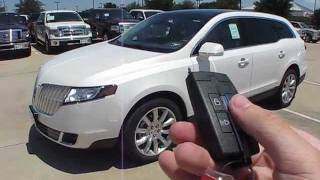 The 2012 Lincoln MKT is built at the Oakville Assembly Complex in Ontario, Canada, and goes on sale at North American dealers in late summer.